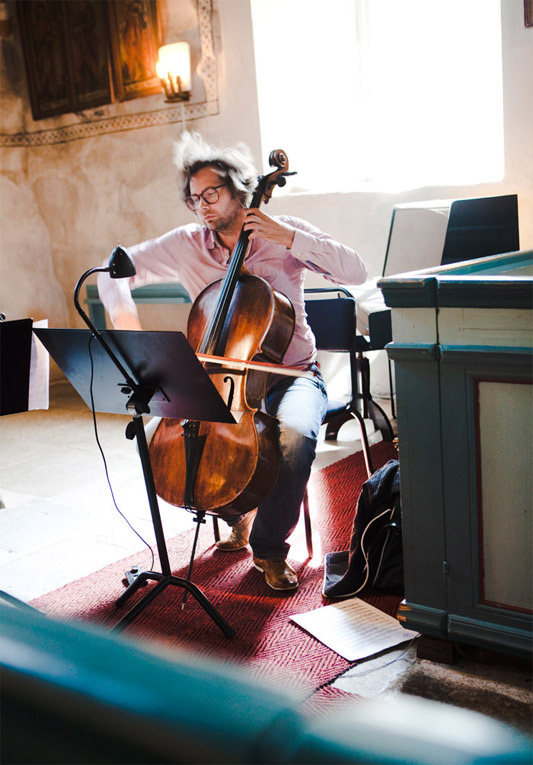 Markus Hohti is a cellist of great versatility – equally at home whether playing classical or baroque cello, performing at contemporary music concerts, chamber music festivals, and jazz clubs. He has recently developed an interest in electro acoustic music and cross-genre projects. He performs actively as a soloist, chamber musician and with his own ensembles defunensemble, Uusinta Ensemble, Tristero Piano Trio and Rödberg Trio. 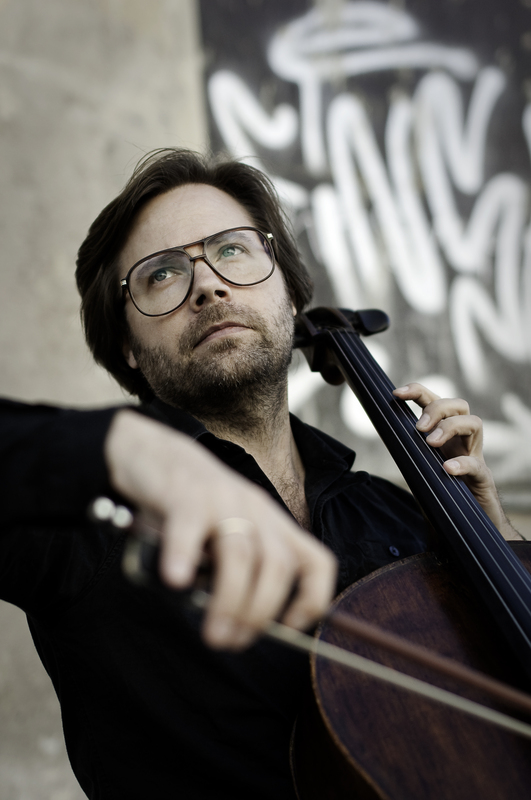 In addition to performing with his numerous regular ensembles, Markus is currently working on a project focussing on the recording and concert performance of Brahms’s cello sonatas in collaboration with the pianist Emil Holmström. Through their performances of these sonatas, Markus and Emil wish to restore the sonic richness and the soundscape of the late nineteenth century by using old grand pianos and gut strings. Meanwhile, upcoming new-music projects include a new electronic cello–percussion duo in association with Samuli Kosminen. The fruit of this collaboration is a new work combining the worlds of contemporary music and experimental electronic music, a work that can soon be heard both on disc and in live performances. 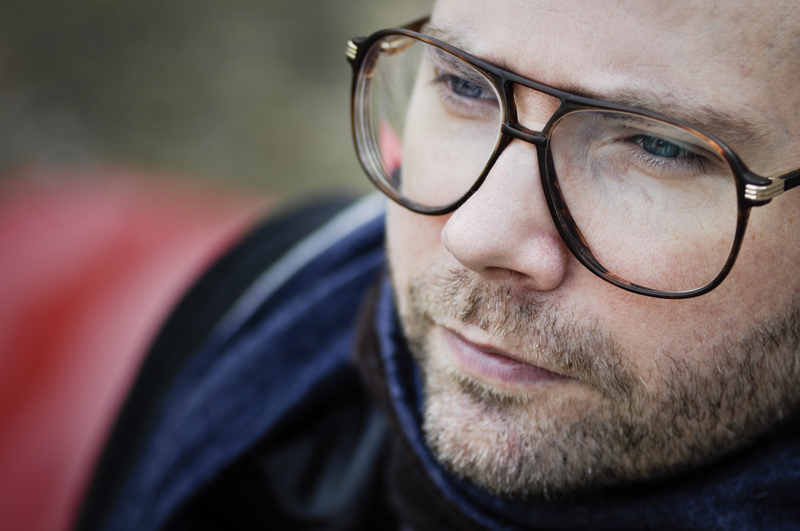 Markus’s most memorable solo performances include Brian Ferneyhough’s legendary ‘Time and Motion Study 2’ at the Helsinki Festival and Sebastian Fagerlund’s ‘Stone on Stone’ as a soloist with Avanti! Chamber Orchestra conducted by Hannu Lintu. 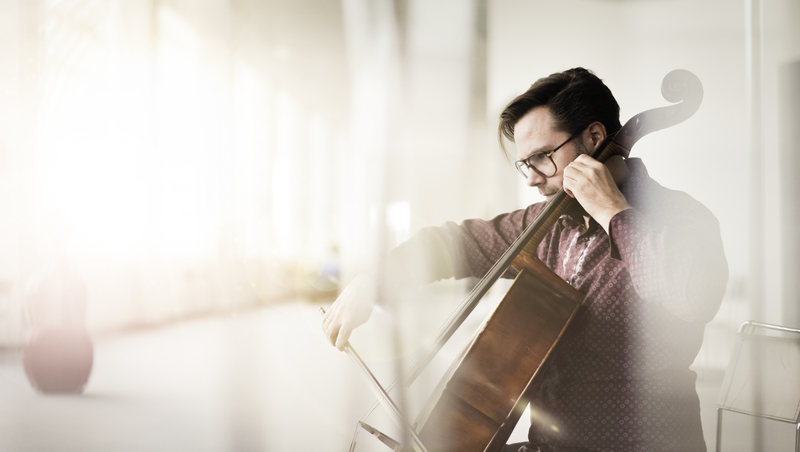 As a chamber musician Markus has performed at major festivals and concert halls, including Kuhmo Chamber Music, Lucerne Festival, Salzburger Biennale, Tonhalle in Zurich, Berlin Filharmonie and Pekka Kuusisto’s Our Festival. He has premiered hundreds of new pieces and collaborated with renowned artists such as Ralf Gothoni, Cyprien Katsaris, Pierre Boulez, Sofia Gubaidulina, Jaime Martin, Alasdair Beatson, Thomas Demenga, Rainer Schmidt, Gordan Nikolic and Malin Broman. 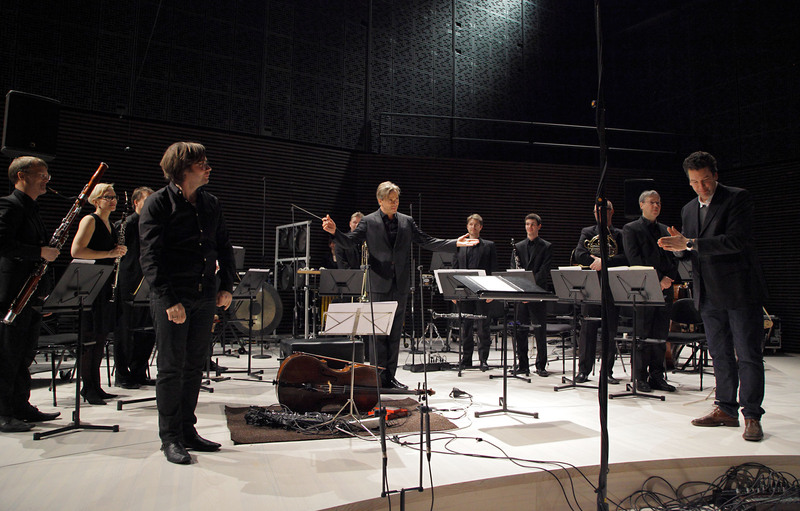 In 2011, the KLANG-concert series was born through Markus’ initiative at the Helsinki Music Centre. He is also a co-founder and co-director of Ristiveto Festival together with pianist Emil Holmström and violinist Eriikka Maalismaa. A committed and experienced pedagogue, Markus has recently been appointed as a senior lecturer at Tampere Music Academy. BACH FROM THE BASEMENT is a musical video diary where every week I’ll publish a performance of a different movement from one of Bach’s six solo cello suites. Most of the videos will be shot at my rehearsal studio – a former laundry in the basement of an apartment building – but if I’m on the road, they might be recorded in a hotel room, backstage at a concert hall or in an airport lounge. The first video will be published on 17th Sept 2014 and the project will culminate in performances of all six suites to take place during summer and autumn 2015 and to coincide with the 330th anniversary of the birth of J. S. Bach. BACHIA KELLARISTA on musiikillinen videopäiväkirja, jossa julkaisen yhden osan Bachin soolosellosarjasta kerran viikossa. Videot kuvataan harjoitushuoneellani kerrostalon vanhassa pesutuvassa, tai matkoilla ollessani vaikkapa hotellihuoneessa, konserttisalin takahuoneessa tai lentokentällä. Ensimmäinen video julkaistaan 17.9.2014 ja projekti huipentuu soolosellosarjojen kokonaisesityksiin kesällä ja syksyllä 2015 J.S. Bachin 330-vuotisjuhlavuoden kunniaksi. Uusinta Ensemble is a contemporary music ensemble founded in 1998 in Helsinki. International repertoire is the core of the repertoire, and the ensemble sees as its prime mission to bring the most exciting composers from all countries to its concerts in Helsinki and abroad.d and the obscure repertoire of the 20th & 21st centuries. Likewise they are actively commissioning new works as well as engaging in interdisciplinary collaborations with artists from other fields. Formed only as recently as in 2009, defunensemble has, with astonishing speed, established themselves as one of the most important contemporary music groups in Finland. 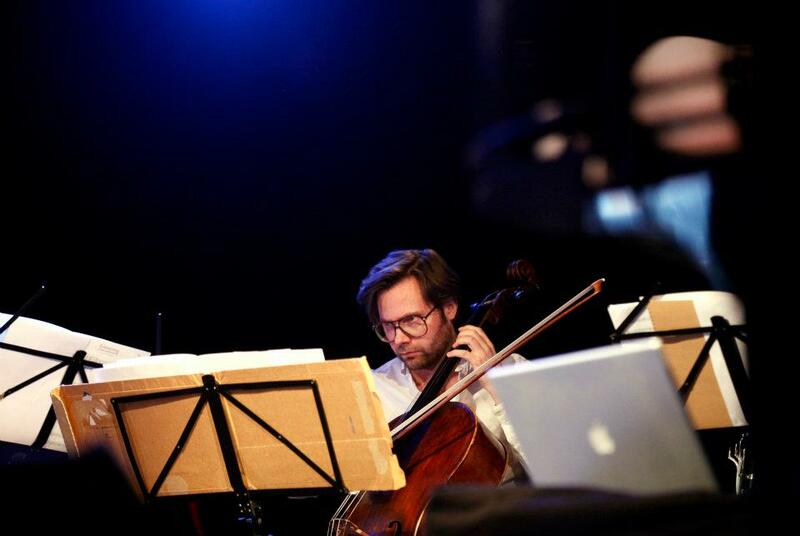 The ensemble’s vigorous mission is to systematically delve into the world of electro-acoustic music. Coordinated by composer Sami Klemola, defunensemble give Finnish premieres of the most essential electro-acoustic repertoire both classic and current, while simultaneously actively commissioning new works incorporating the latest technologies. Ateneumin taidemuseossa järjestettävällä Ristiveto-festivaalilla kuullaan myöhäisromantiikan ja varhaisen modernismin klassikkosäveliä uudella otteella ja vanhoilla soittimilla. 1900-luvun alun flyygelit ja suolikielin varustetut jousisoittimet vievät kuulijat lähemmäksi teosten alkuperäistä kiehtovaa äänimaisemaa. The Ristiveto Festival at Ateneum Art Museum on presents classic works of Late Romanticism and Early Modernism in a fresh way and with old instruments. Grand pianos from the early 20th century and string instruments strung with gut will transport listeners closer to the original and fascinating soundscape of the artwork. Uusimman musiikin konserttisarja Musiikkitalossa. Klang on uusimpaan, vuoden 2000 jälkeen sävellettyyn musiikkiin keskittyvä konserttisarja. Konsertit järjestetään pääsääntöisesti kuukauden ensimmäisenä maanantaina. The newest of new music at the Helsinki Music Centre. Klang is a concert series focusing on music composed after 2000. Concerts will generally be held on the first Monday of every month. The is no borderline between jazz and contemporary classical music. There is only a small gap between mindsets, a tiny little opening of space for the NOW – a universe for the improvising musician. Inspired by their time spent working together under the direction of Pierre Boulez at the 2004 Lucerne Festival Academy, a group of young musicians formed LABORATORIUM. Hailing from 15 countries on 5 continents, its members are especially interested in the study and interpretation of both the established and the obscure repertoire of the 20th & 21st centuries. Likewise they are actively commissioning new works as well as engaging in interdisciplinary collaborations with artists from other fields. Sello on pitänyt muotonsa viisisataa vuotta. Silti jokaisella aikakaudella se taipuu uuden ilmaisun välineeksi eikä jää varjoon edes nykyajan soundiapparaattien rinnalla. Häikäisevä sellon taituri Markus Hohti ja alansa eturivin musiikkiteknologiaguru Marko Myöhänen luovat tässä konsertissa uusia sointimaailmoja, jotka saavat yllättäviä ja kiehtovia värejä kokonaisvaltaisen valosuunnitelun kautta. Debussyn sonaatti sopi Hohdille erinomaisesti. Sen tulkinnassa yhtyi modernia älyllistä kirkkautta, impulssien leikkiä sekä sanomattoman herkkävaistoista aavistelua. Hänen nopea ja notkea tekniikkansa oli tarkasti Debussyn värähtelyjen hermolla. Maurice Ravels Sonat för violin och cello blir en av höjdpunkterna i programmet. Stycket är suveränt skrivet för stråkinstrument med ett häpnadsväckande antal påhittiga detaljer och många olika stämningar. Kuusisto och Markus Hohti borrar sig in i stycket med hårresande intensitet. Sebastian Fagerlundin Stone on Stone lataa peliin elektroniikan. Markus Hohdin taiturillisesti käsittelemä sello laukaisi liukuja, kaikuja ja kolkuttavia sykkeitä. Svengikuninkuuden veivät defunensemblen Markus Hohti ja Emil Holmström Nuorvalan BOOSTin vapautuneella esityksellä.